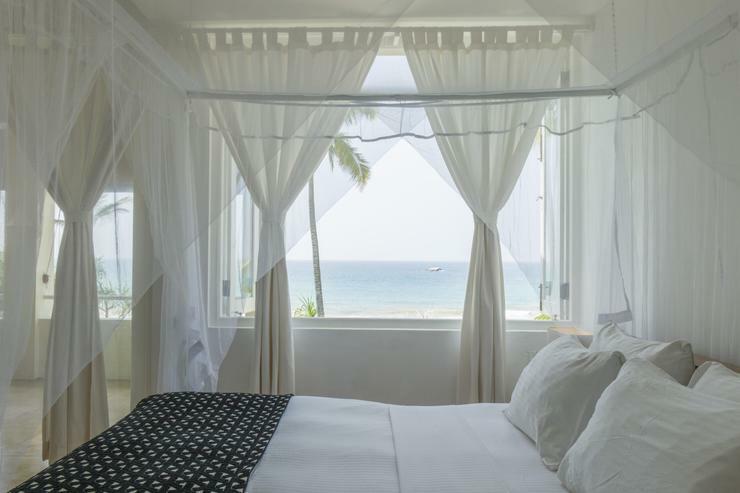 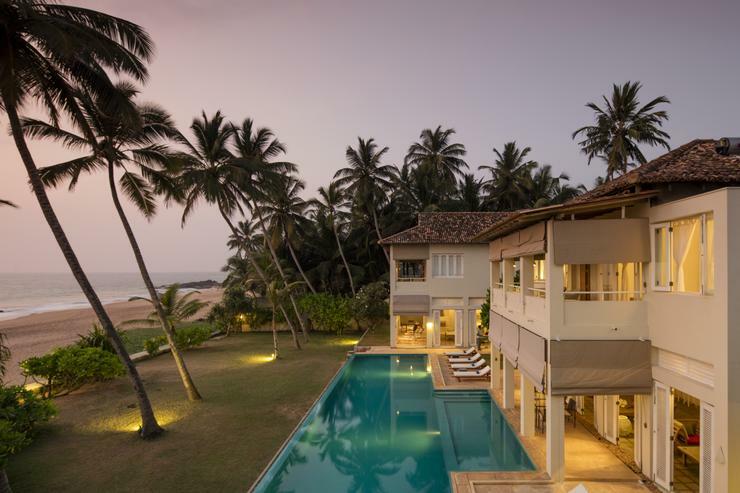 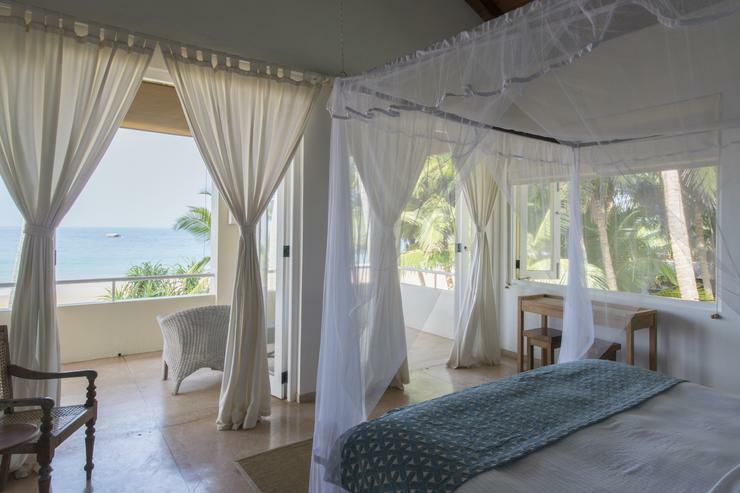 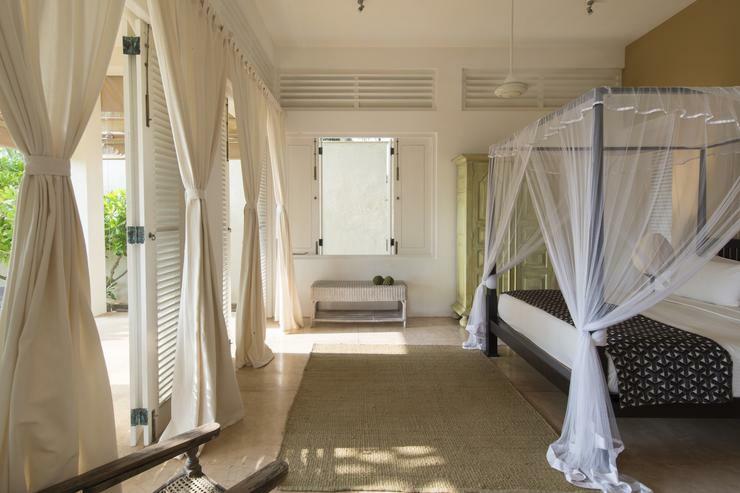 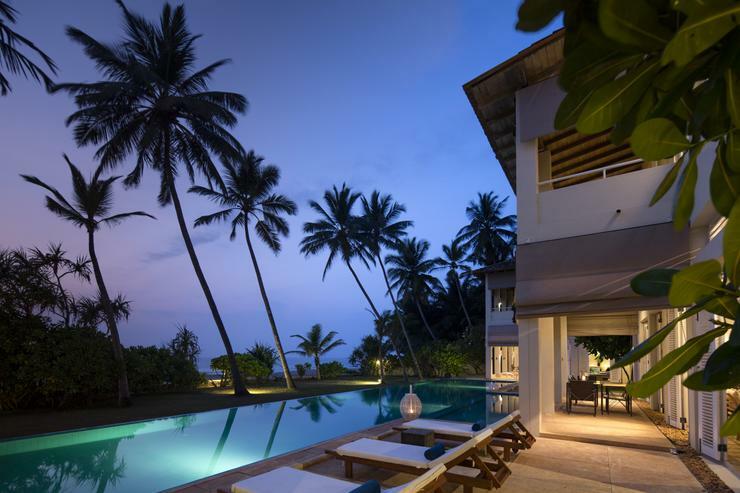 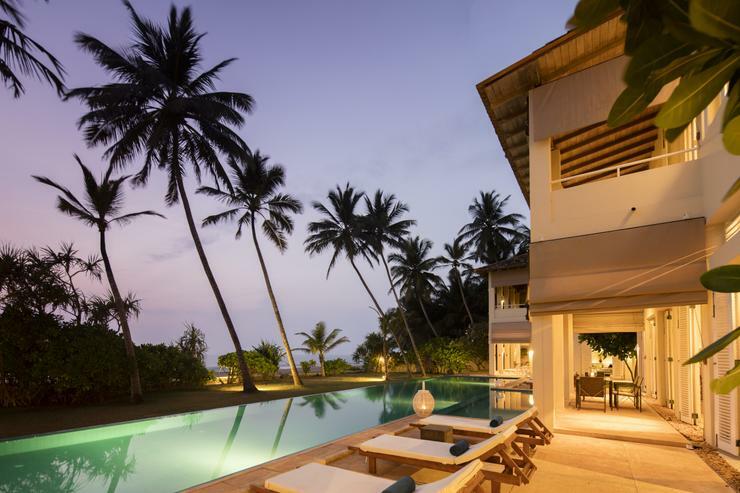 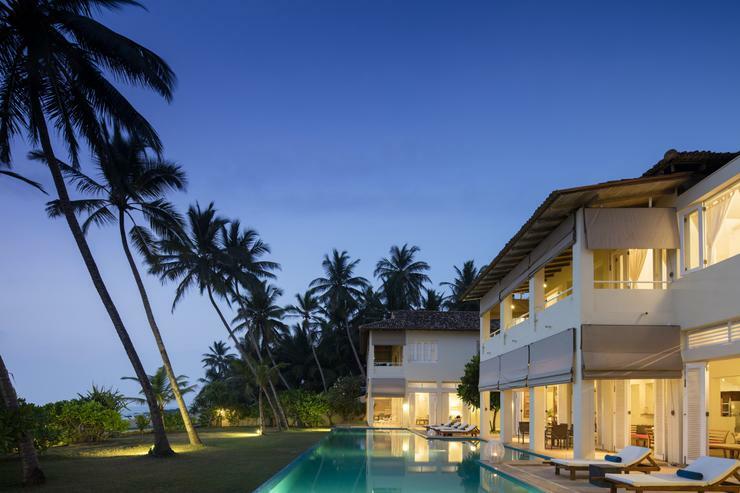 Sri Villas is one of the few privately owned properties on the southwest coast of Sri Lanka that can truly be called beachfront with its undisturbed panoramic views of the Indian Ocean. 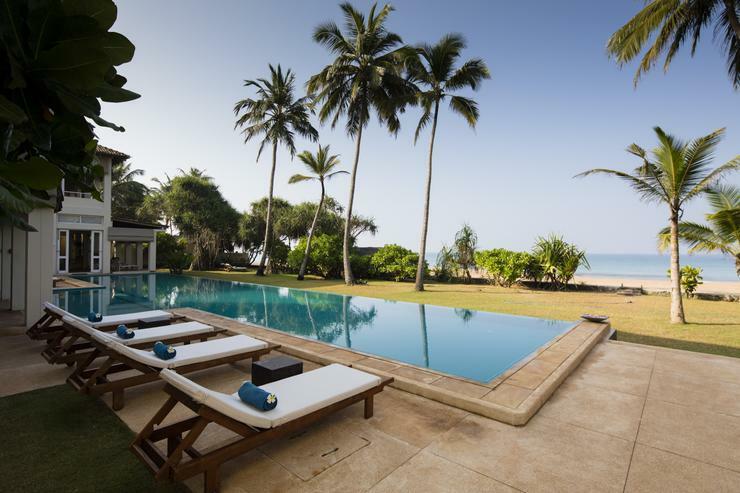 Sitting at the end of a beautiful, rarely visited beach that stretches for half a kilometre, the garden at Sri Villas seamlessly blends into the golden sand. 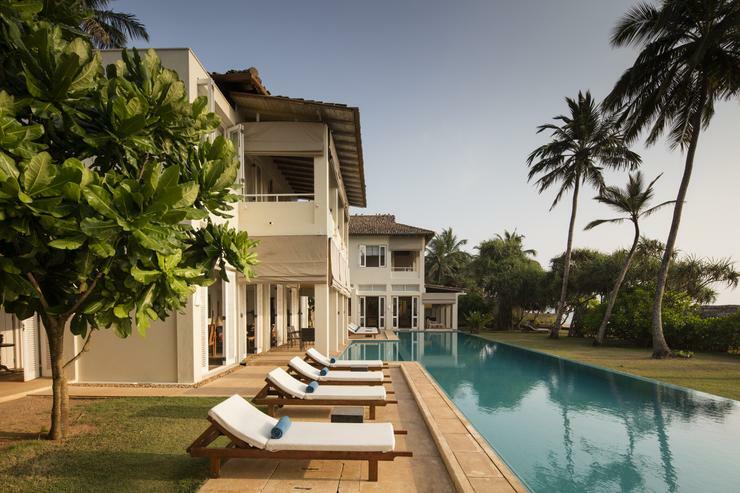 While the villas are equipped to cater to the expectations of modern living, much of the design is based on traditional Sri Lankan homes. 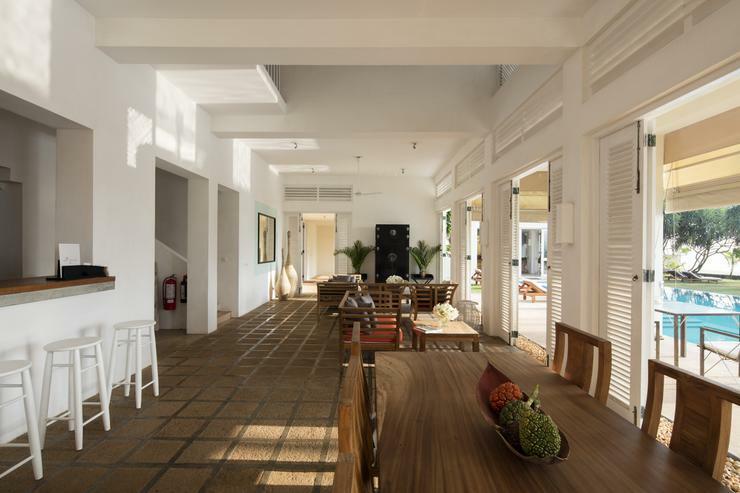 High vaulted ceilings, tall louvered doors and windows shading large open spaces provide wonderful ventilation and allow the cooling ocean breeze to permeate the property. 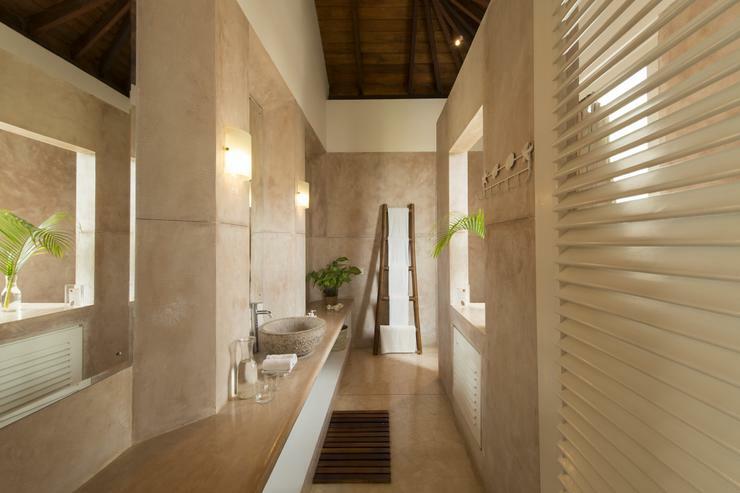 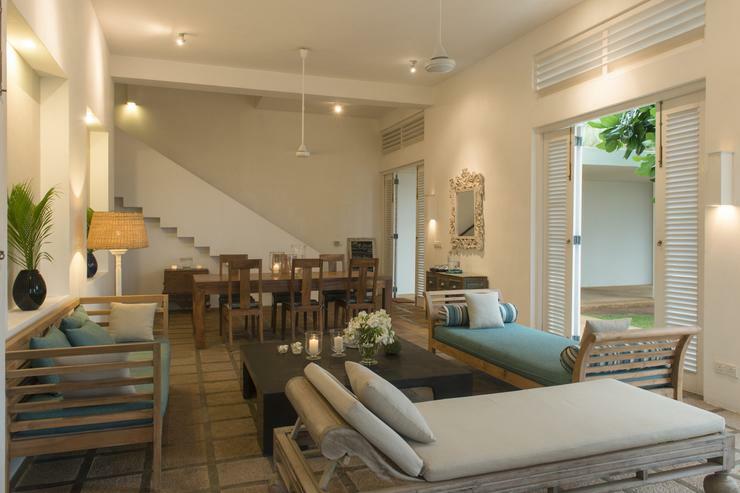 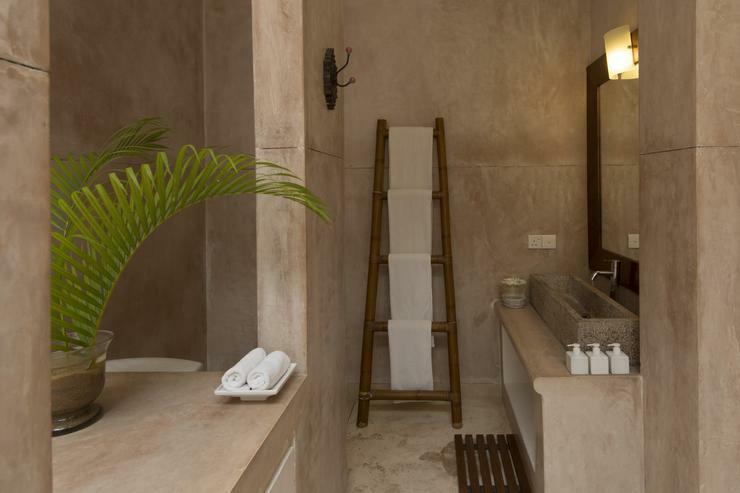 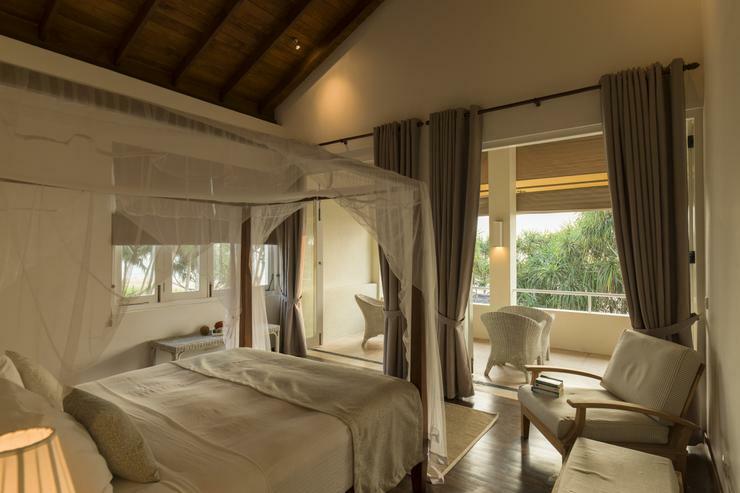 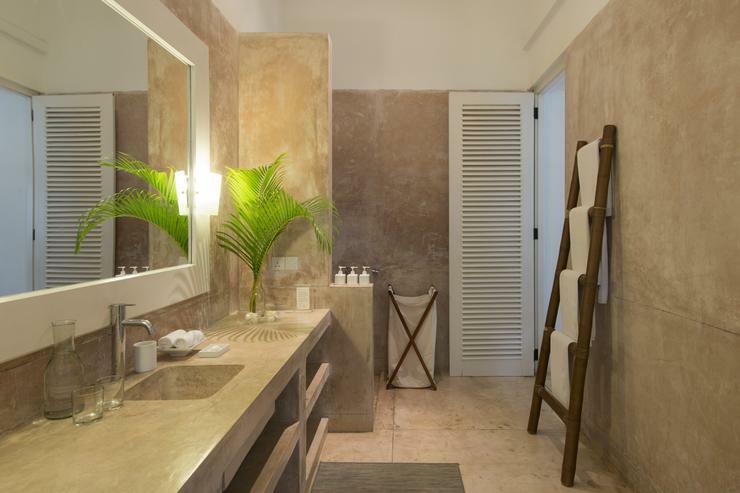 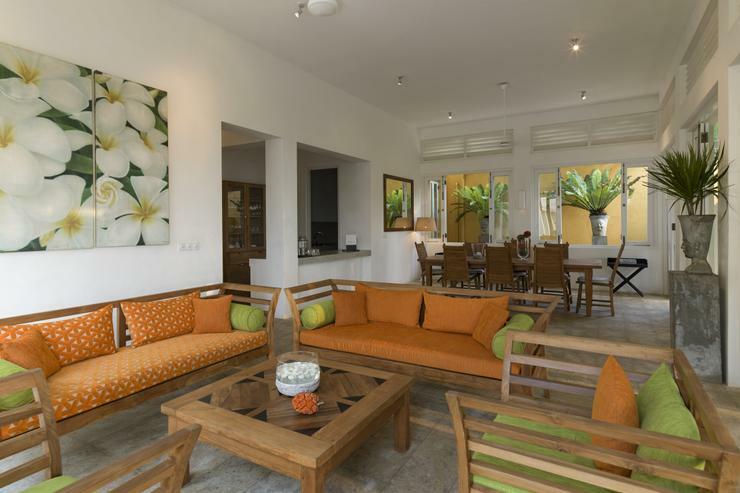 Sri Villas is ideally located for those who wish to get out and about. 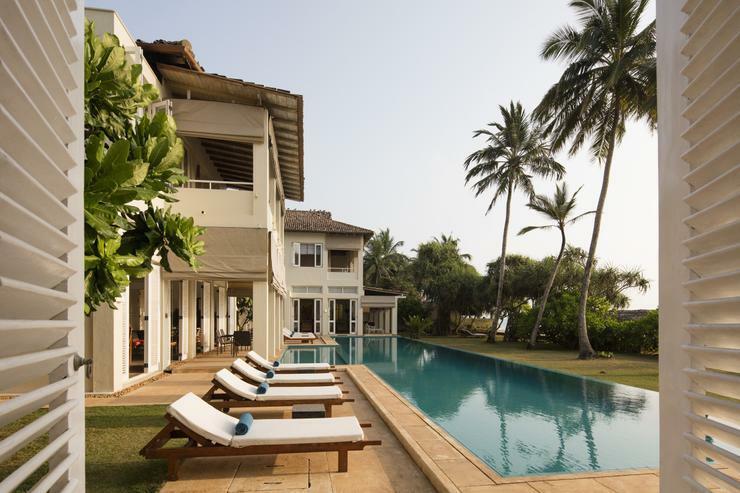 In nearby Bentota you will find all kinds of water sports, including a water skiing and surfing school (where the instructors guarantee to have you skiing within a single round). 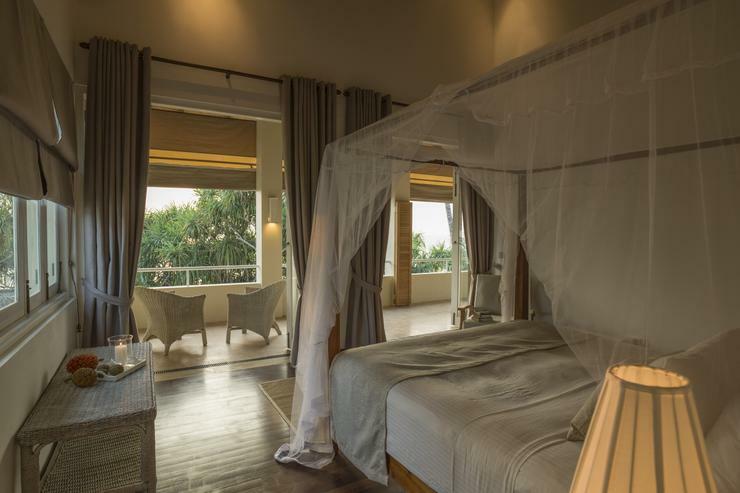 There are more gentle pursuits such as river cruises and hiking through local villages and paddy fields. For those in search of culture, the nearby home and exotic gardens of Sri Lanka’s famous architect Geoffrey Bawa are open to the public. 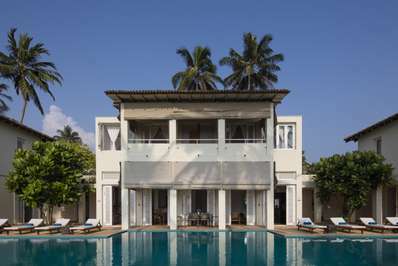 Sri Villas is less than an hour away from the historic city of Galle with its world heritage Dutch Fort and international cricket pitch. 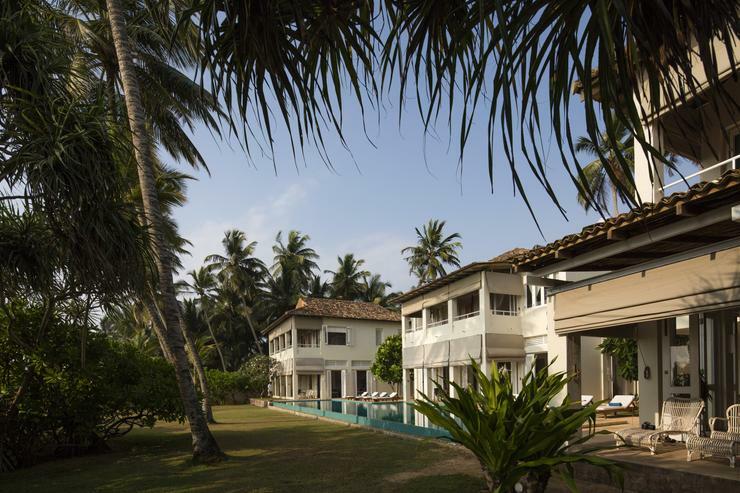 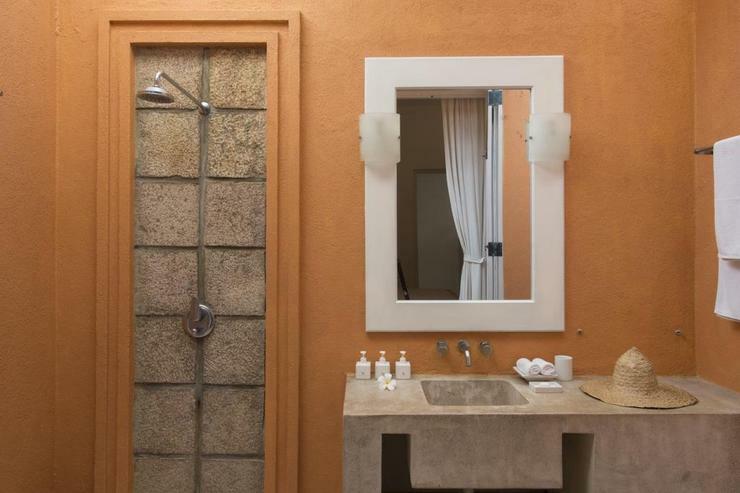 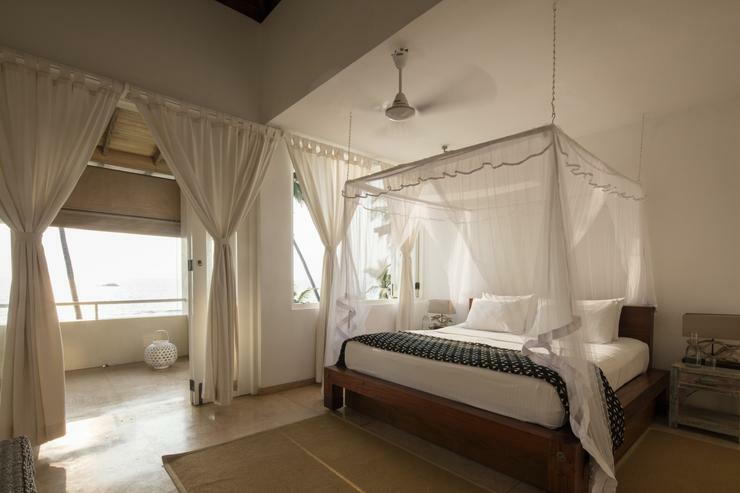 Either take a trip to Hikkaduwa or Unawatuna, or, stay close by and enjoy the local ancient temples, turtle hatcheries and relax at a choice of Ayurvedic spas in the area.